Ballet has been around since the Italian Renaissance courts of the 15th century. It has shifted and molded according to history and the different cultures and people who have embraced the art form, and its traditions continue to be taught and learned all over the world. Over the centuries of ballet’s worldwide travels, several different schools, or methods, have been established, each one with its own notable characteristics and stylistic differences. Here, Dance Informa looks at several of those schools of ballet and what sets each apart. From Italy, ballet spread to the French courts during the time of Louis XIV, in the 17th century. Seeing as the majority of the ballet vocabulary is in French, this shows that this time in history was very important in the development of the art form. The French School of ballet training stresses cleanness, fluidity and elegance. As the focus of this technique is on great speed and quantity of steps, the music is played more slowly. Famed dancer Rudolf Nureyev, who also directed the Paris Opera Ballet, played a major role in defining and leading the French School of ballet. During the time of his leadership at Paris Opera Ballet, Nureyev also choreographed alternate versions of such classic ballets as La Bayadère, Swan Lake, Romeo and Juliet, Raymonda, Cinderella and Sleeping Beauty. The Bournonville ballet technique was devised by Dane August Bournonville, who trained with his father, Antoine, and other French ballet masters. He was strongly influenced by the French School of ballet. Some characteristics of the Bournonville method include: a graceful épaulement, with the upper body often twisting toward the working leg; a lowered eye-line to exude kindness; extreme attention to the placement of the arms (often in a preparatory fifth position); quick footwork; a contrast between the speed of the legs and the grace of the upper body; pirouettes in a low leg position; and little visible effort. Dancers such as Erik Bruhn, Nikolaj Hübbe and Johan Kobborg were trained in the Bournonville method, and the Royal Danish Ballet, which originated in 1748 and was once directed by Bournonville, still contains many Bournonville ballets in its current repertoire. Agrippian Vaganova, a Russian ballet dancer born in 1879, devised her own method of teaching ballet, now known as Vaganova technique. A dancer with the Marinsky Ballet, Vaganova retired early in her career, in 1916, to focus on her teaching. Qualities in the Vaganova method include expressiveness of port de bras, where all parts of the arm (from hand to elbow to shoulder) are important; extreme flexibility, but in an artful way; and a mobile lower back. Dancers trained in this technique are taught to be strong and clean, without stiffness. Some of the greatest dancers, including Anna Pavlova, Natalia Makarova, Nureyev and Mikhail Baryshnikov, were trained through Vaganova’s pedagogy. 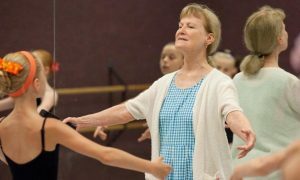 Vaganova believed in precision within the teacher’s instruction, and the Vaganova Ballet Academy continues to have high demands for its students. The Cecchetti method of ballet technique was formed by Enrico Cecchetti, an Italian ballet master. Its focus lies mainly in anatomy, and the hope for those studying the method is that they learn to dance by internalizing rather than just imitating. Qualities of the Cecchetti method include: balance, poise, line, strength, elevation, elasticity, musicality, artistry, clarity and purity. The Cecchetti training system has levels from beginner to professional, and during this progression new movements are only added once other movements have been mastered and refined. The hope within this training system is that dancers become well-rounded and versatile. The Royal Academy of Dance (RAD), an international dance examination board, was established in London, England, in 1920. Its method of ballet is known as the English style and is a merging of Italian, French, Danish and Russian methods. RAD’s focus is on attention to detail when learning ballet’s basic technique. As a result, progression from level to level in this method is slow, as difficult steps are only taught once a maximum level of technique is achieved. The RAD offers two training programs for students: the Graded Examination Syllabus, which consists of 10 levels and incorporates classical ballet, free movement and character dance; and the Vocational Graded Syllabus, a more demanding, ballet-focused path designed for older children and young adults who desire a career in professional dance. A more recent ballet style in the history of ballet is the Balanchine method, a style invented by choreographer George Balanchine and one most widely used in the United States. Dancers trained in the Balanchine method are taught to utilize more space in less time, which results in increased speed, height and length. Characteristics of this style include: extreme speed, a deep plié, an emphasis on line, en dehors pirouettes taken from a lunge in fourth position with a straight back leg and an athletic dance quality. Balanchine leaned toward a more neoclassical style, with a focus more on the dance and less on a plot. Today, the Balanchine method is taught at the School of American Ballet, the official school of New York City Ballet, as well as at the schools of Miami City Ballet and Pennsylvania Ballet, among others.